Manifestation is an important tool that we can use to live a life that is aligned with our highest purpose and full of joy, satisfaction, and gratitude. What many don’t realize is that the Chakras system directly lines up with the steps of manifestation. The Chakras system is made up of two different currents, the liberating current that flows from the root chakra up to the crown chakra, and the manifesting current which flows in the opposite direction, from the crown chakra to the root chakra. The Chakras system is most often taught & referred to via the liberating current since it brings personal liberation, but it is essential for us to learn how to use both currents. Today, I am going to talk about how you can use the manifesting current to to manifest your highest self and your highest purpose into real, solid matter. First, though, a little bit more background on these two currents. The downward, manifesting current moves from pure, unmanifest consciousness towards density, boundaries, and individuality. The upward, liberating current moves from inactive consciousness & dense matter towards freedom, expansion, and universality. As these two current pass one another, they create vortices of energy, known as the chakras. When it comes to describing the journey of the manifesting current, Anodea Judith puts it perfectly. Each step downward is a creative act, an act of consciousness making choices, taking a step toward limitation, allowing constriction of freedom. Through this constriction, the abstract expanse of consciousness has a container that allows it to condense and become solid. In the downward current, each of the chakras can be seen as ‘condensers’ of cosmic energy. In an effort to effectively demonstrate how we can use this manifesting current to manifest those things that we help us to reach our highest evolvement, I will use an example as we go through each of the chakras. The example that I will use is opening a yoga studio. The first step begins at our the top of the manifesting current, at the Crown Chakra, Sahasrara. The Crown chakra is our center of divine connection and wisdom. When we are open and balanced here, this greater wisdom can flow in easily from the Divine, planting the seeds of an idea. Here is where the first inklings of the idea to open a yoga studio will come in, since it is part of my soul’s divine plan. After the first seeds of the idea have been planted, this idea flows down the manifesting current to the 6th chakra, Anja, the third eye. This is our center of intuition, inner knowing, and inner “sight”. Here we begin to visualize this idea in our minds’ eye. We begin to picture what the studio might look like, the colors of the paint, the people that will visit, the classes that will take place, etc. Next, the idea of opening my own studio will flow down to the 5th chakra, Vishuddha, the throat chakra. This is our center of communication and self expression. Now, I begin speak this idea out loud. I tell my friends and family that I am thinking of opening a studio. The idea then flows down further into the heart chakra, Anahata, the center of love and relationships. I now begin to look for partnerships and create relationships to help bring this idea of opening a studio to life. I reach out to different rental spaces, talk to contractors, designers, and potentials teachers. My idea then flows down the manifestation current to the third chakra, Manipura, the solar plexus. This is our center of transformation, personal power, and will. It is represented by the element of fire. Here, my internal fire is lit up and I enter a stage of transformation to truly bring this idea to life. The building of my studio has begun and I work physically to build this idea into something tangible. Next is the sacral chakra, Svadhisthana, our center of creativity, pleasure, and movement. This is where I bring my creativity to the studio. Choosing the finishing touches such as the paint, textiles, and class schedule. We all have a divine, unique purpose on this planet that our soul decided for us before we came on this earth. It is important to focus on creating balance throughout the entire chakras system so that once we receive divine wisdom and ideas we can carry those ideas down the manifesting current and turn them into reality. 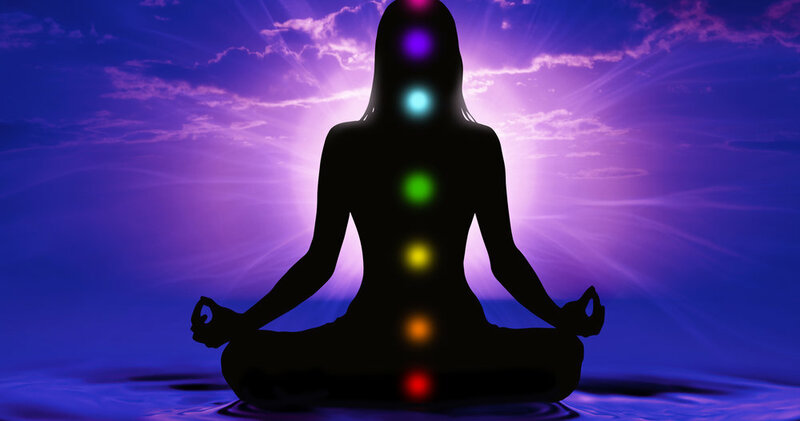 To read more on each of the individual chakras, checkout my chakra blogs below!